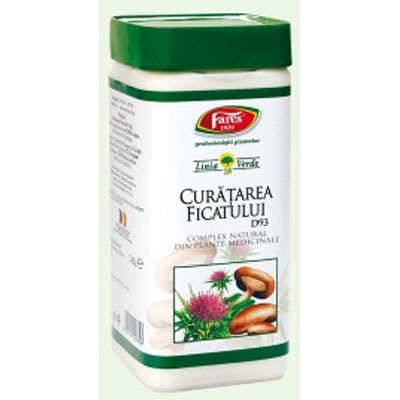 Cretusca are actiune antiinflamatoare si analgezica, datorita continutului in salicilati, compusi inruditi cu aspirina, fiind un antiinflamator natural. Prin continutul in ulei esential, sovarvul fluidifica secretiile bronsice, favorizand expectoratia, avand si o actiune bacteriostatica, dezinfectanta a cailor respiratorii superioare. Scoarta de salcie si extractul de salcie contin salicina, compus cu o structura similara aspirinei (alternativa naturala a aspirinei) avand bune proprietati antiinflamatoare si febrifuge. Salicilatii din scoarta de salcie sunt mai bine tolerati de organismul uman decat aspirina sintetica, avand actiune antiinflamatoare, antipiretica (de scadere a febrei), analgezica. Saponinele, flavonoidele si polizaharidele din Astragalus ii confera acestuia proprietati tonice, de adaptare a organismului la variatiile factorilor interni sau externi, stimuland sistemul imunitar la persoanele care sufera de diferite infectii; este eficient in caz de infectii respiratorii, avand proprietati antivirale; reduce durata si frecventa simptomelor neplacute aparute in caz de raceala si gripa. Principiile active din usturoi au proprietati antiinfectioase, antiseptice, bacteriostatice si bactericide asupra unui spectru larg de bacterii si virusuri. Are proprietati naturale antibiotice, cu efect in multe tipuri de infectii respiratorii fiind totodata un bun tonifiant al organismului. Are de asemenea proprietati febrifuge, fluidifiante a secretiilor bronsice, sedative si antigripale, util in profilaxia si tratarea infectiilor respiratorii. Prin asocierea in doze optime a produselor vegetale prezentate anterior, se asigura o actiune complexa antiinflamatoare, antiinfectioasa, antivirala, analgezica, febrifuga, decongestionanta, antitusiva. Copiii peste 7 ani pot consuma produsul. 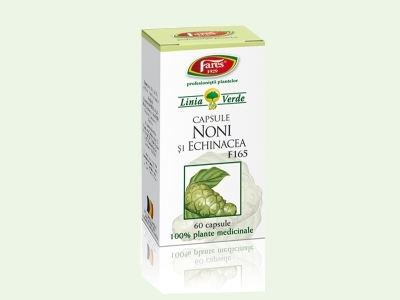 Pentru copiii care nu pot inghiti capsule intregi, se recomanda administrarea continutului cu miere, suc de fructe sau gem. Copii peste 14 ani si adulti => 3-4 capsule/zi, dupa mesele principale. Continutul unui flacon ajunge pentru cura minim recomandata de 7 zile. Cold & Flu (anti-infectives) 30cps FARES Cold & Flu (anti-infectives) 30cps FARES inflammatory and anti-infection effect of capsules containing the product? Willow bark (Cortex Salicis) meadow sweet (Herbal Ulmariae) marjoram (Herbal Origani) willow bark extract ( Salicis cortex) extract Astragalus (Astragalus membranaceus) Garlic (Allium sativum) What other substances it contains this product? This product does not contain any adjuvant substances or flavorings or colorings How does this product? meadow sweet-inflammatory and analgesic action is due to salicylate content, related compounds aspirin as an antiinflammatorynaturally. The content of essential oil, marjoram fluidifica bronchial secretions, sputum favoring, and having a bacteriostatic action, disinfection of the upper airway. Willow bark and willow extract containing salicin, aspirin compound with a similar structure (natural alternative to aspirin) with better inflammatory and febrifuge properties. Salicylates from willow bark are better tolerated by the human body than synthetic aspirin, with action-inflammatory, antipyretic (fever-lowering), analgesic. Saponins, flavonoids and polysaccharides in Astragalus gives its tonic properties, adjusting the body to variations in factors internal or external, stimulating the immune systempeople suffering from various infections, is effective in cases of respiratory infections, with antiviral properties, reduce the duration and frequency of unpleasant symptoms appeared in the case of colds and flu. The active principles of garlic has anti-infective properties, antiseptic, bacteriostatic and bactericidal on a broad range bacteria and viruses. Possessesnatural and antibiotic effect in many types of respiratory infections are also a good tonic for the body. It also has properties febrifuge, fluidifiante bronchial secretions, sedatives and influenza, useful in preventing and treating respiratory infections. By linking the optimal dose of plant products described above, to ensure a complex actionntiinflamatoare, anti-infective, antiviral, analgesic, febrifuge, decongestants, antitussives. When you use this product? This product will be used to start a virus, the first symptoms and the treatment of substance in the cold season in patients who are frequent infections upper airway. When is contraindicatedto use this product? gastrointestinal peptic ulcer in the acute phase. You can use this product simultaneously with other medicines? This product can be used concurrently with other drugs. What other precautions need to be taken when using this product? People with a history of peptic ulcer, gastrointestinal this product be used with caution. & nbsp; Children can use this product? Children over 7 years may consume the product. For children unable to swallow capsules whole, recommend content management with honey, fruit juice or jam. What is the recommended dosage? Children 7-14 years = > 1-2 capsules per day after meals. Children over 14 years and adults => c 3-4Apsu / day after meals. Contents of the bottle reaches the minimum recommended cure for seven days. How long a course? cure takes 7 to 14 days in the upper tract infections, ie 2-3 months to fund treatment in winter . You can use this product during pregnancy and during breastfeeding? This produs can not be used by pregnant women and nursing mothers. What side effects is this? The recommended doses are not known side effects.